If you know who you are serving in your business, it’s easier to sell what you are selling. If you’re not familiar with the people that you serve, you’re gonna have a hard time growing your business. 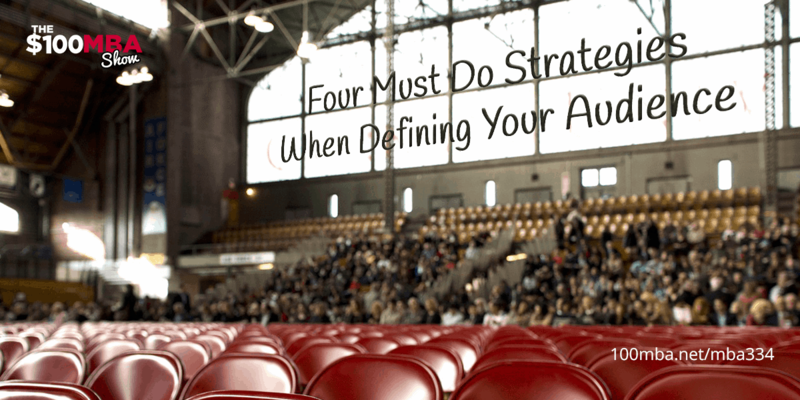 We’re teaching you this lesson today so you can exercise the 4 must do strategies that we recommend when defining your audience so you’ll know how to serve them. Press play! « Previous Post MBA333 Should You Own a Franchise? Next Post » MBA335 How to Create a Killer Slide Presentation Plus Free Ride Friday!